Yea, that's the same firmware version I'm running. I can't remember(it's been a long while now) having the "reversal" bug. I just remember twitchy pots of the rudder and trim controls etc. Which is why I updated. But now if I run a device analyzer program, I can see that when I try to make a 1% change it won't. It skips to 2% or 3% and I have to move it back to get to 1%. This makes the plane porpoise around, obviously, making formation flying and adjusting fire a challenge. That said, it's not a deal breaker. I love the ffb and its many buttons and axis. So I'll be using it until, I break it, or somebody makes a new and better ffb stick. I just wish I could get a true 1:1 movement from it. Am I making any sense? And after 4 weeks the problems are back! Two buttons are making problems. Maybe it is more than the cables. 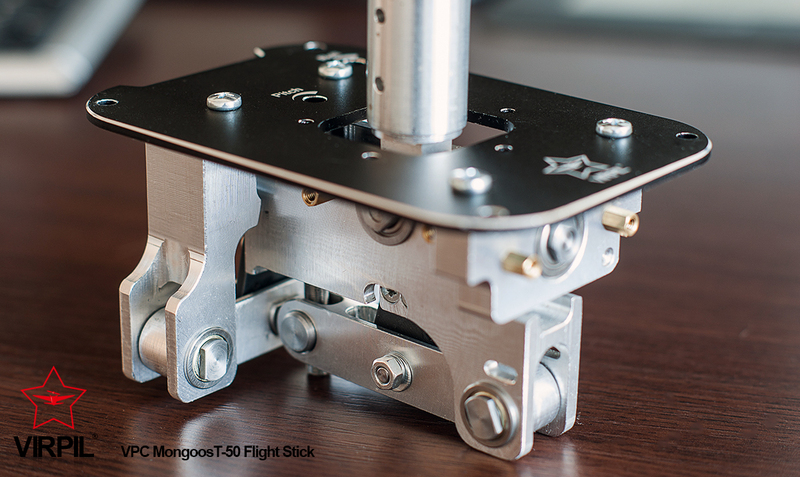 You'll like the Warthog, imho, the axis's are super smooth and accurate. Programing the switches can be more challenging in some games. But I found making a generic "TARGET" profile that outputs just momentary DX button presses, is good enough for most games, and prevents you from going crazy about "the switch states" etc. It really shines in some(but not all) DCS modules which supports it's functions out of the box. In the end you'll want to make friends with the TARGET software to get the most out of it. Yeah Mugue.....i have a good feeling about the thrustmaster. I think it is the best standalone dual throttle on the market. 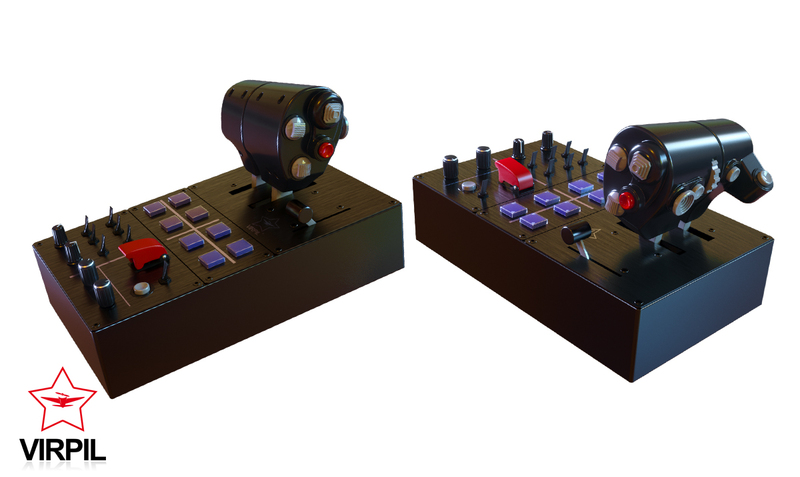 Because i'm doing verry much space sim in the last time i need a throttle with many buttons. That's also a reason why i will go with the Thrustmaster. 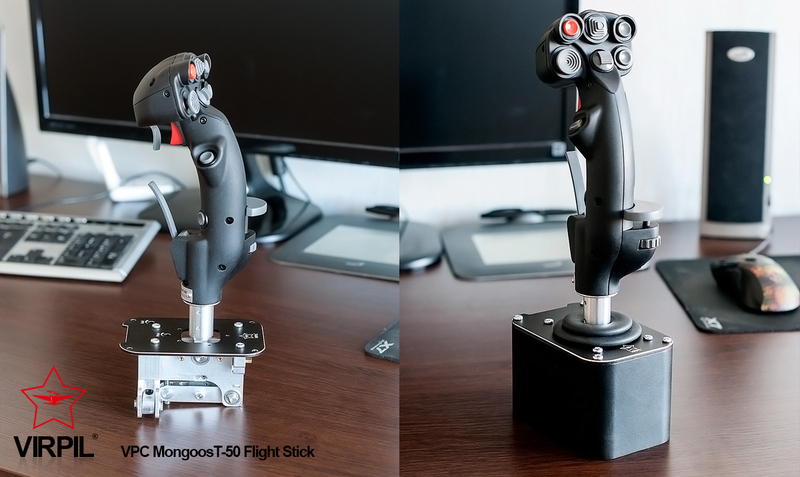 And if the stick will pass away in the future i will get an VBK Gunfighter ECP or the Thrustmaster Warthog stick and MFG crosswinds. Maybe i found something better mugue! I will have eyes on this! Also the stick looks very good! Looks good, as a TM Warthog owner for 7 years now its pretty robust, but I had to do some tweaks to the stick, extension and replace the rubber ring that fouls with a teflon ring and regrease, not too hard to do but should have been done by TM in the first place. I like the look of these too, but why can we not get a trim wheel on the side of the throttle base for pitch and another on the rear for Yaw/roll those are the controls I miss most for the WW2/light civil aircraft. One day I will build a button box just for these types of controls. The pictures are still an early prototype of the throttle. They have multiple thread in the VPC, DCS and IL2 forums wherer they ask what functions the customers want on the throttle. Then they decide the final design. On the front of the right throttle is already one rotary switch for trim function. You have to maximise the picture! Last edited by SYN_DerHesse70 on Fri Feb 24, 2017 8:09 am, edited 1 time in total. Nice looking gimble and grip.^ I like that handbrake lever, which I'm hoping is and axis...though I'm not so sure about the placement of that "trim"wheel. I agree, I'm also disappointed with lack of quality trim controls available on these things, generally.